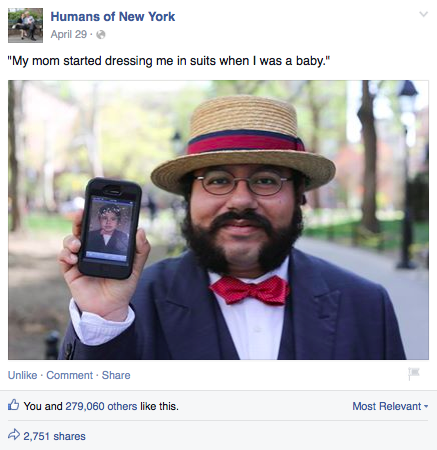 Are you familiar with Humans of New York? It’s a hugely popular Facebook page started by photographer Brandon Stanton in 2010. His formula is this: 1. Approach strangers on the streets of New York City. 2. Take their picture. 3. Get their story. Sounds simple, but it’s magical: with over 13 million Facebook fans his page is more popular than the New York Times’, the NFL’s, and HBO’s. 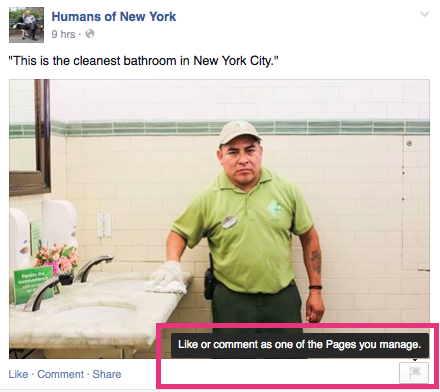 In its own way, Humans of New York is like the social media version of the Oprah Winfrey show. But here’s the difference: it would have cost you $ 1 million dollars to buy a 30-second ad spot on Oprah’s final show. Meanwhile, savvy brands are putting themselves in front of Human of New York’s millions of eyeballs for free with one simple technique. Read on and find out how your company can do it, too. I mentioned Humans of New York because it happens to be a personal favorite of mine. But when you do a little digging, you’ll actually find there are several of these 800-pound Facebook pages, who are a bit like television networks in their own right because of their broad appeal. Below you’ll find a few of them. 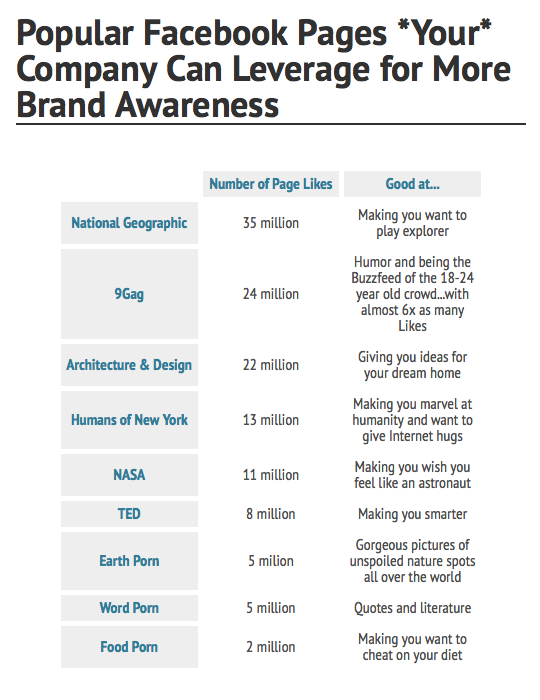 Their inclusion on this list is not just based on their number of likes — after all, any Facebook page can buy fans. But they also receive hundreds and thousands of comments on each post they share, proving their authentic appeal. After you do this, you’ll be able to comment as your page. So, until you switch back, all of your actions on Facebook will be not under your name, but your company’s name. Update: One of our readers alerted us to the fact that, for some mysterious reason, the option to use Facebook as your page is not available to everyone. See the next step for an alternative. 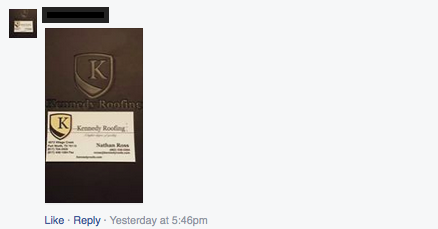 The Facebook pages are posting content that their fans are viewing, liking, clicking, sharing and commenting on. What you’re looking for is your own opportunity to like or comment as your Facebook page, and to do so in a way that adds to the ongoing conversation. Here are some good examples. A bit tentative? Start out by just liking, as Brooklyn Soap Company did. I didn’t know this company existed before I saw this. 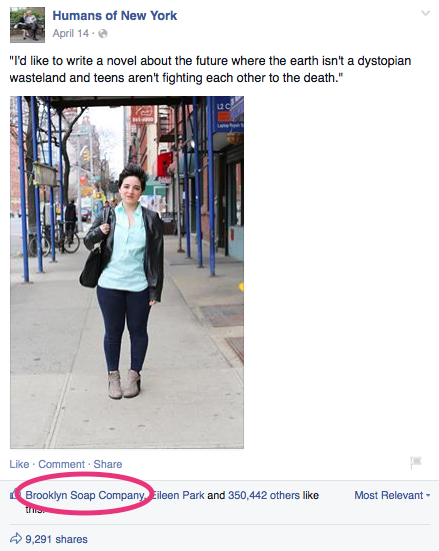 How many of HONY’s legions of fans had the same experience? And then be bolder. 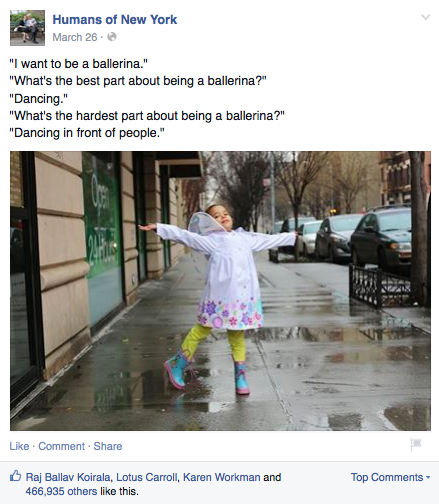 For instance, a dance school might comment on this post with a great quote about dancing…. Or a company that sells pet supplies might leave a little-known fact about bulldogs on this one…. Or an online men’s shop could leave a compliment and a bit of advice for other men who want to be more fashionable here…. The key to using this strategy effectively is keeping it social, spontaneous and organic. It is not meant to be used for barreling in like this guy, who left a picture of his business card — with no comment — on a Facebook post that had nothing at all to do with his line of work. It’s extremely important to contribute in a way that adds something of value or advances the conversation. Not only to benefit your brand, but also to show respect for the Facebook page’s owner and fans. Treat it as though a close friend has invited you to a potluck dinner: bring a great dish or don’t bother showing up! And if you can’t think of a slam-dunk comment, it might be best to just stick to liking. 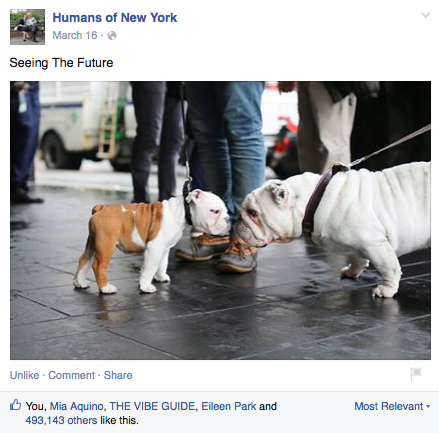 What are some of your favorite, popular Facebook Pages? And how often do you switch to using Facebook as your page? Tell us in the comments!